©Healy Racing Photos Veterinary expertise is confined to a minority. But no expertise is required to wonder if the British Horseracing Authority created a rod for its own back by shutting down racing in response to last week's outbreak of equine flu in Britain. Elimination of the virus appears to be the standard if racing is to resume. The ever-expanding majority view within the industry appears to be that such a standard is all but impossible. So the race appears on for the BHA to find a way of getting the racing show back on the road while also appearing to live up to what it has said is on the welfare tin. The view that the BHA has over-reacted appears based in the view that equine flu pretty much never goes away. When trainers talk of a 'bug' in the yard they're essentially talking about some strain of it. Talking to a few of them at the weekend a picture was painted of some part of every yard in the country always containing a few runny noses and temperatures. If that's the daily reality it's tough to square with the guidelines that prompted last week's shut-down. An outbreak of flu in Donald McCain's yard was discovered. McCain had runners at both Ludlow and Ayr. McCain's yard was put in lockdown. But so was every other yard that had runners at those meetings. If that's the standard it's a recipe for stagnation. Because if there are always bugs swirling around, and always horses under the weather, and official policy to an outbreak is to go into 'lockdown' mode, some well-intentioned welfare ambitions start to look like castles in the sky. They invite speculation as to whether or not consistently meeting such a standard can ever be sustainable. Initial hopes the outbreak could be confined to McCain's yard were dashed last night with confirmation that four horses at Simon Crisford's Newmarket yard have tested positive. That's Newmarket where over 3,000 are in training. In 2003 a major outbreak of flu occurred at British racing's HQ but was confined and the sport could continue. Is that an option now? And if it isn't what are the implications? This particular strain of flu mutated to affect horses already vaccinated. The BHA response appears to be to come down hard on it now in time for the Cheltenham festival in four weeks. There is also concern at how equine flu is particularly problematic for young stock and the breeding season is under way. That's all well and good. Clearly this strain is a nasty customer. Except we're not talking about a notifiable disease, or strangles, or equine herpes. These are illnesses that create genuine fear within the racing and breeding industries. Equine flu, by comparison, is a lightweight for vaccinated thoroughbreds. It's also endemic. What's the response going to be next week or next month if more vaccinated horses comes down with this? What if their stable companions have been at the races? Does that mean every yard represented at the fixture those stable companions appeared at have to go into lockdown? Because that's the logic of the past few days. 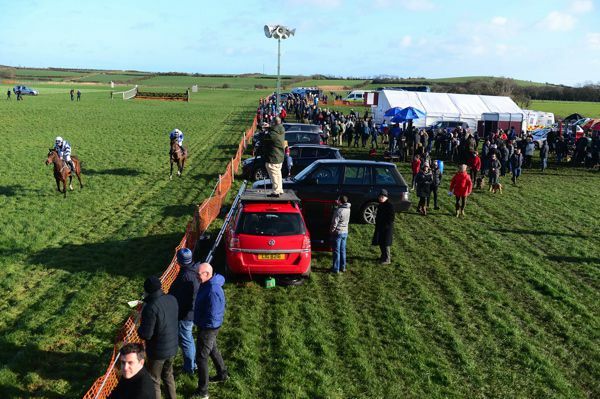 Perhaps the BHA statement about a prioritisation plan for testing, based on the proximity of horses to a positive test, or to a yard returning a positive test, is a step towards conceding that wholesale lockdown mode is unsustainable. Another plan about clearance processes for individual yards to return to racing may be part of that too. However that in turn invites accusations of animal welfare concerns being selective and subjective when it comes to racing's bottom line. They won't be accurate accusations, and context won't be a priority when they're made. But they will still have to be dealt with, and dealt with through a prism of the BHA's own making. Irish racing's response to this has been generally praised. Stopping racing here in response to the British shutdown was unrealistic. It's hard to legislate on the basis of what might happen. There are some grumbles about a new IHRB requirement for new vaccines in horses so close to Cheltenham but there appears to be general recognition that precautions need to be seen to be taken. In terms of over-reaction though it's interesting to ponder if the decision not to accept British entries through all this might not prove a political own-goal. There can't have been many, if any, cross-channel entries made at this time of year anyway. But if the BHA is consistent about its lockdown policy it will be interesting to see its official response if a case of equine flu arises here. Might the Irish gesture get reciprocated, an interesting idea just weeks out of Cheltenham! The former Irish soccer international Niall Quinn is famously a racing fan, going back quarter of a century to when his colours were carried to success in the Futurity Stakes at the Curragh by Cois Na Tine. Nowadays he is making news by pitching a plan to radically reshape League of Ireland football, partly, it might be argued, by drifting offside into racing's pitch. Quinn wants to set up football academies at all 20 League of Ireland clubs. That would stop youngsters feeling they have to go to Britain in order to develop and they could also protect their educational prospects better. It could also help clubs prosper in a league which Quinn has outlined should be independent from the influence of the Football Association of Ireland. The academy plan depends on each club getting €2 million. That would come from private investment and, crucially, the state. Quinn has pointed out how racing has benefitted hugely from the Horse & Greyhound Fund. The point has also been made that since football generates a significant amount of betting turnover why shouldn't it be entitled to a slice of the action back. In many respects it's remarkable how this hasn't been raised before in the context of other mainstream sports. This space has pointed out in the past how it would hardly take the most complicated algorithm to link state support in proportion to the amount of turnover generated. Whether Quinn's ideas gain political traction or not perhaps might be something to send HRI headquarters into lockdown. Finally it was interesting to examine last week just how much of the short-term logistical headache involved in a no-deal Brexit has been shifted across the Irish Sea. Britain's department for environment, food and rural affairs recently indicated they are ready to wave horseboxes through as per normal should the UK crash out on March 29. The advisability of that in relation to a number of issues, not least disease control, is suspect. But it means in the short term at least the problem is this country's. Going to Britain may be fine but coming back is the problem. If Britain crashes out, that means it becomes a 'Third Country' and Ireland has to cope with the inspection processes involved in that. Actually Dublin port will mainly have to because that will be the only Border Inspection Post available to ferry traffic. And that's nothing to look forward to.